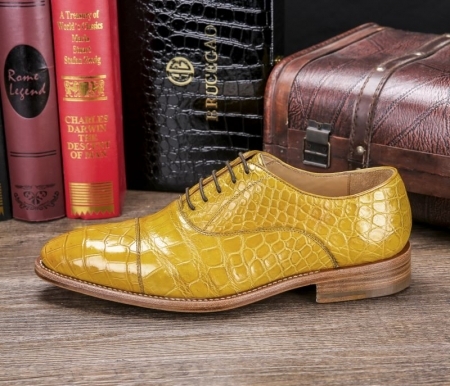 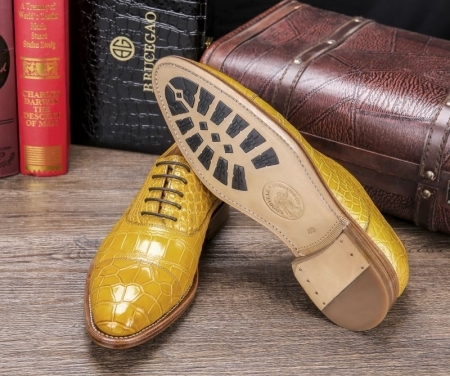 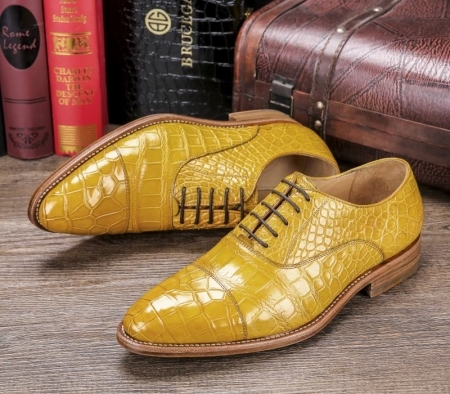 Using time-honored shoemaking techniques and Goodyear Welted construction, these handmade Alligator Leather Oxford shoes are a true men’s shoe classic. 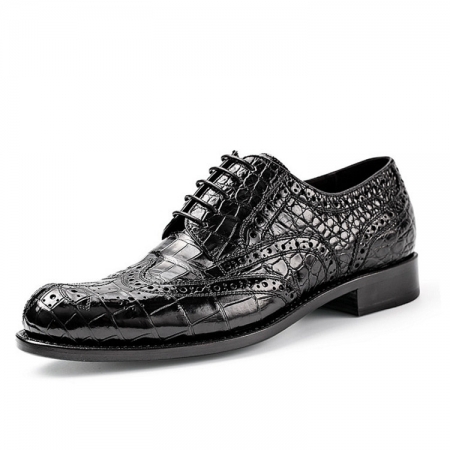 It has a lace up fastening that provides your feet a good fit. 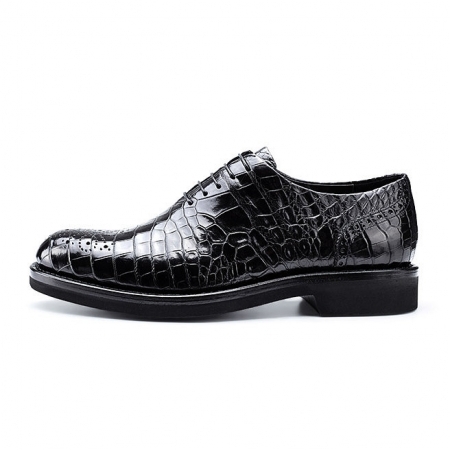 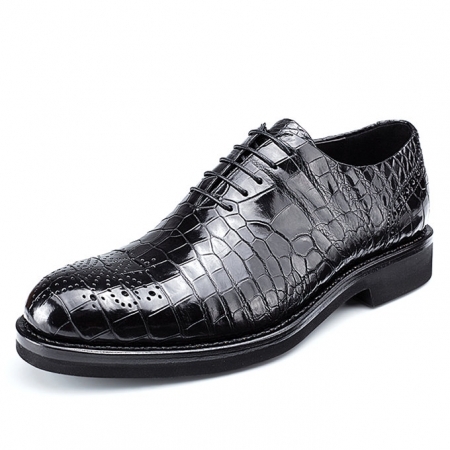 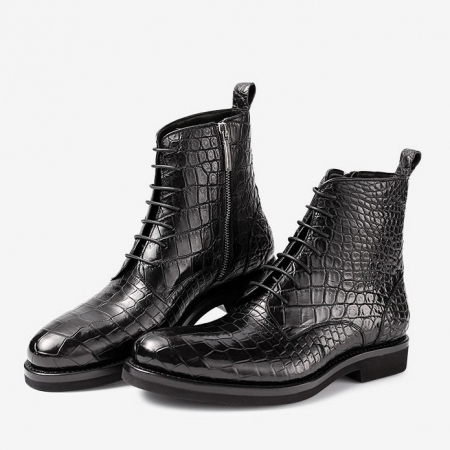 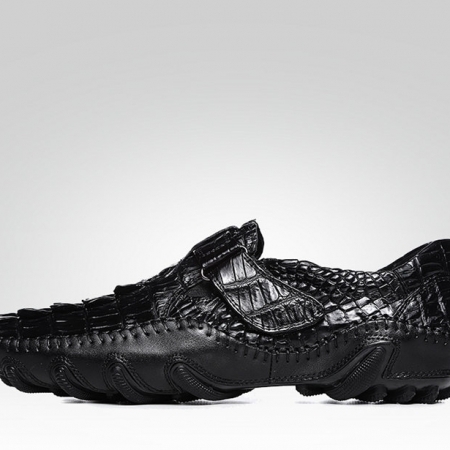 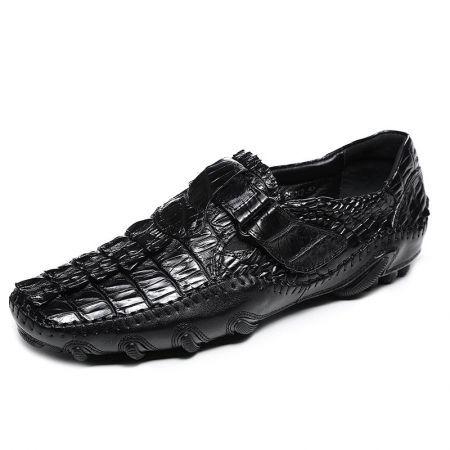 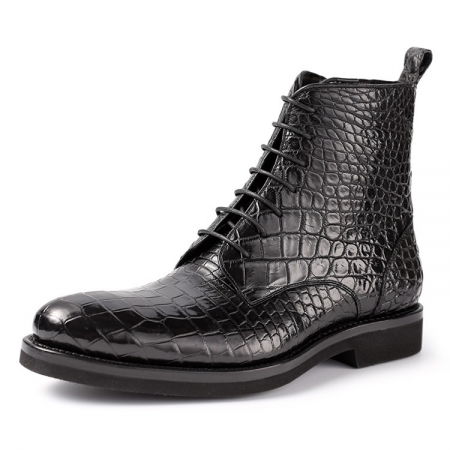 In addition, it is crafted from superior quality alligator leather that gives it a classy finish. 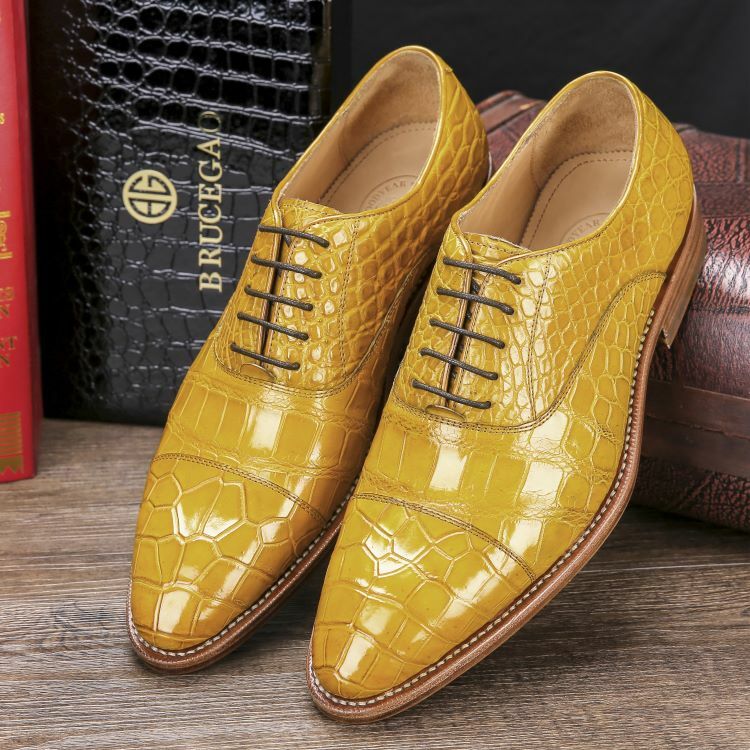 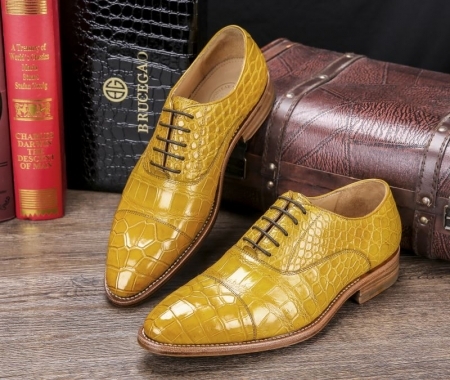 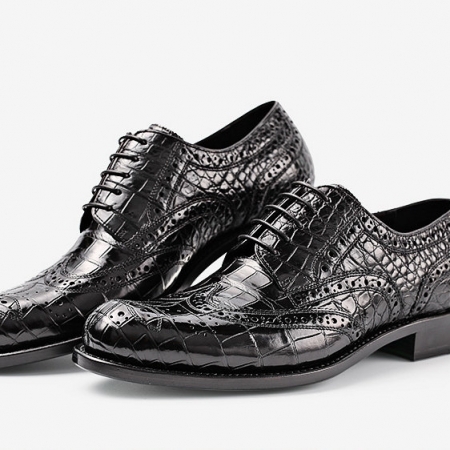 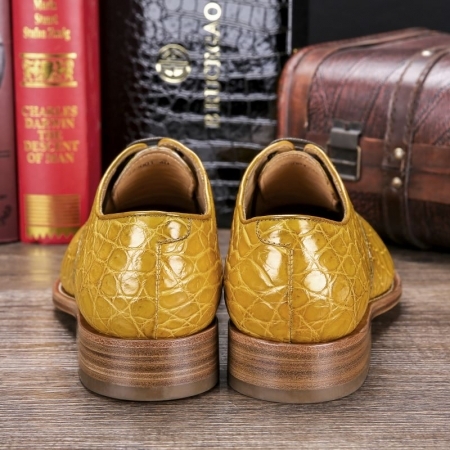 Whether you’re aiming to elevate your everyday style for work or bring a heritage touch to special-occasion dressing, these handsome alligator skin shoes will fit the bill.